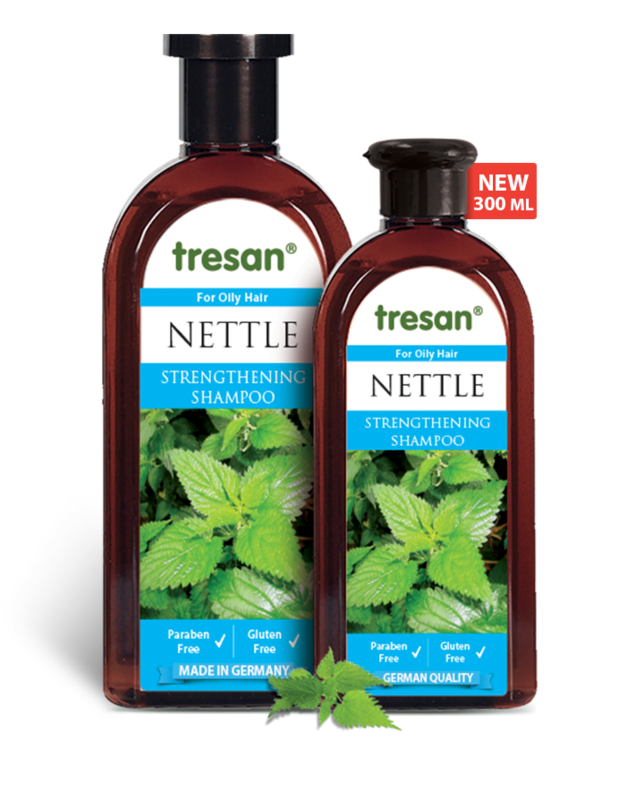 Tresan nettle herbal shampoo has a unique formulation featuring nettle extract and has been specially developed for oily hair. Enriched with panthenol the shampoo moisturizes and adds volume to hair. 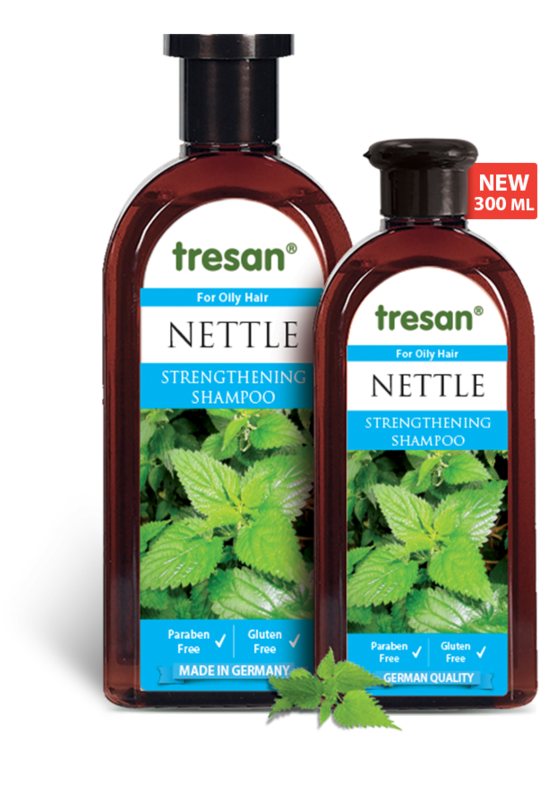 Tresan nettle herbal shampoo strengthens the hair follicles. Can also be used for restorative care of damaged hair. Suitable for daily use. pH skin friendly. Directions: Apply shampoo to wet hair and gently lather. Rinse thoroughly.